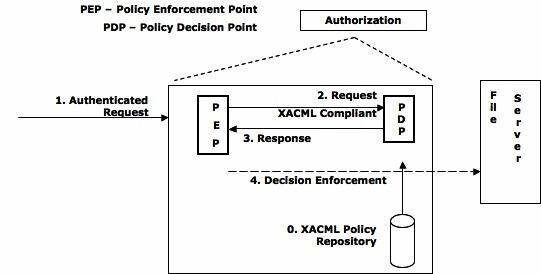 XACML defines a general policy language used to protect resources as well as an access decision language. Markup language has been approved and standardized by OASIS. 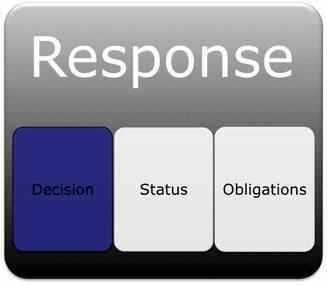 Policy decision point (PDP) – The system entity that evaluates applicable policy and renders authorization decision. 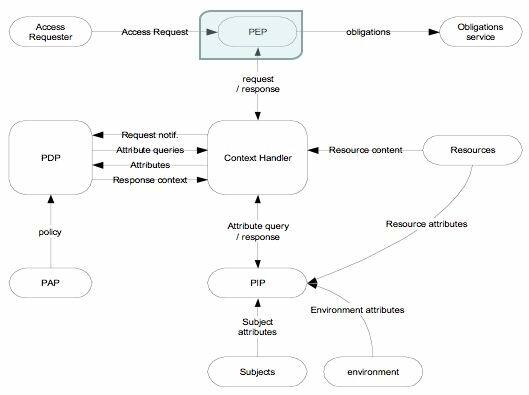 Policy enforcement point (PEP) – The system entity that performs access control, by making decision requests and enforcing authorization decisions. 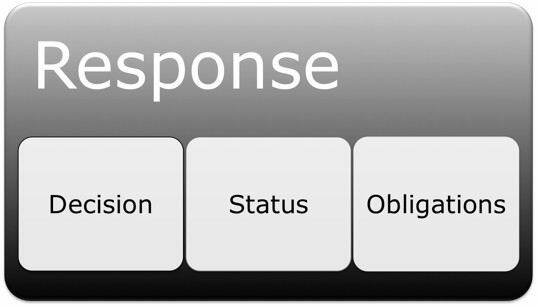 Policy information point (PIP) – The system entity that acts as a source of attribute values. 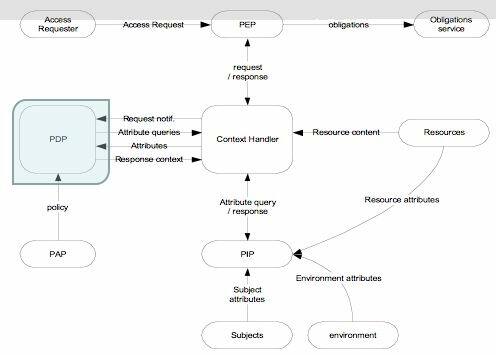 Context handler - The system entity that converts decision requests in the native request format to the XACML canonical form and converts authorization decisions in the XACML canonical form to the native response format. 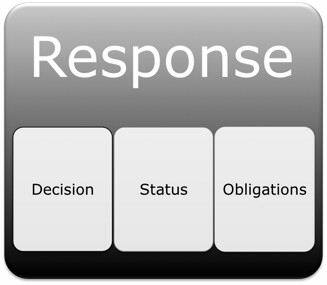 Policy administration point (PAP) – The system entity that creates a policy or policy set. PAPs write policies and policy sets and make them available to the PDP. 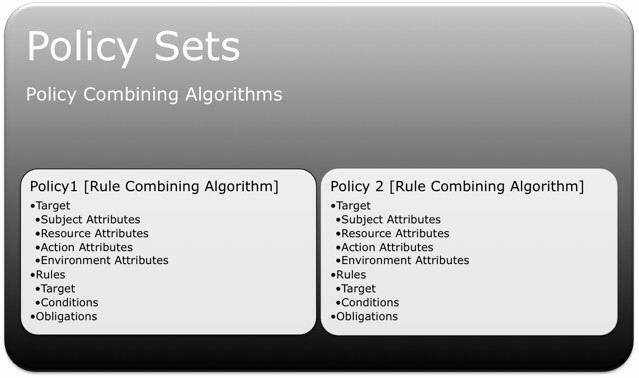 These policies or policy sets represent the complete policy for a specified target. The access requester sends a request for access to the PEP. 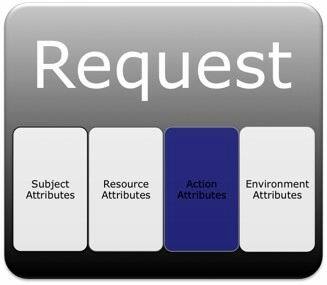 The PEP sends the request for access to the context handler in its native request format, optionally including attributes of the subjects, resource and action. 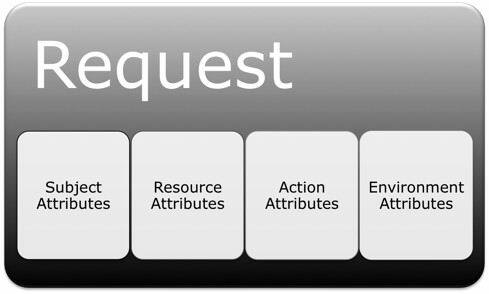 The context handler constructs an XACML request context in accordance with steps 4,5,6 and 7. 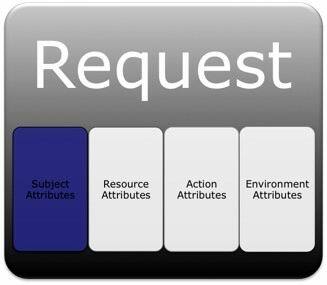 Subject, resource and environment attributes may be requested from a PIP. The PIP obtains the requested attributes. The PIP returns the requested attributes to the context handler. 12. (Not shown) If access is permitted, then the PEP permits access to the resource; otherwise, denies access. A subject (e.g. human user, workstation) wants to take some action on a particular resource. The subject submits its query to the entity protecting the resource (e.g. file system, web server). This entity is called a Policy Enforcement Point (PEP). Other relevant information: privacy parameters. Receives and examines the request. 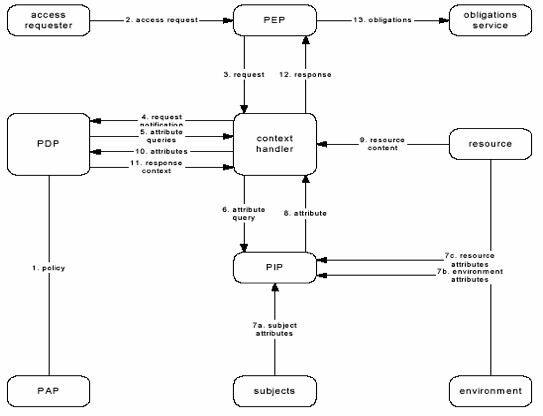 Retrieves applicable policies (written in the XACML policy language). Determines whether access should be granted. Returns the access decision to the PEP. A rule is the most elementary unit of policy. 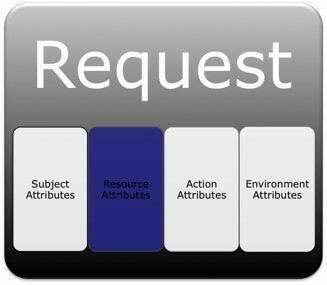 The target defines the resource set, subjects, actions and environment where to apply the rule. The effect of the rule indicates the rule-writer’s intended consequence of a “True” evaluation for the rule. Two values are allowed: “Permit” and “Deny”. Condition represents a boolean expression that refines the applicability predicates implied by its target. Therefore, it may be absent. 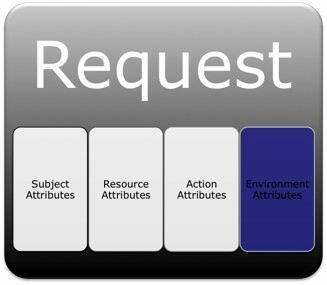 The Target defines the resource set, subjects, actions and environment where to apply the policy. 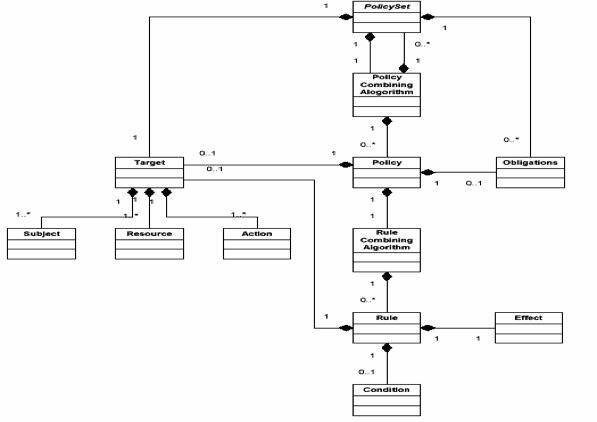 The rule-combining algorithm specifies the procedure by which the results of evaluating the component rules are combined when evaluating the policy. It contains a set of rules or obligations that will be executed by the PEP. 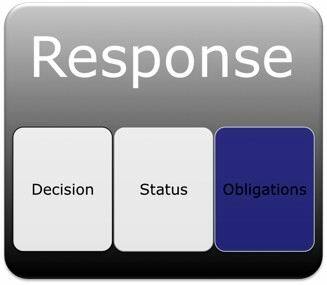 If a single rule permits a request, irrespective of the other rules, the result of the PDP is Permit. If a single rule denies a request, irrespective of the other rules, the result of the PDP is deny. 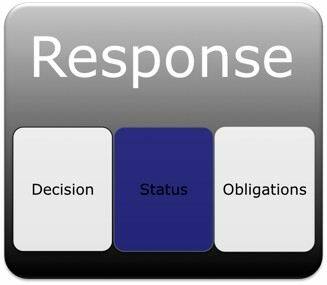 The first applicable rule that satisfies the request is the result of the PDP. If there are two rules with different effects for the same request, the result is indeterminate. Declarative use of boolean expressions. Using Environment variables like time, etc.. 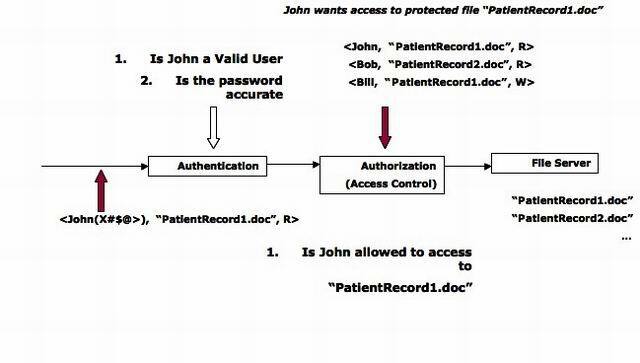 E.g., John can access patientrecord1.doc only between 9am and 4pm. An operation performed in a policy or policy set that should be performed in conjunction with the enforcement of an authorization decision. Your marks have been accessed by the Dean for the purpose of Creation of GradeSheet.